A sphere is defined as a set of points in three-dimensional space, that are all at the same distance from a given point, which is called the center. Sphere is widely used in physics to model different objects, like spherical capacitors or atoms of a gas. 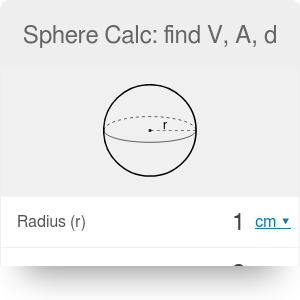 You should also check out our spherical coordinates calculator and see how you can use a sphere to describe the position of any given point in a 3D space. With given area: V = √(A³ / (36 * π)). 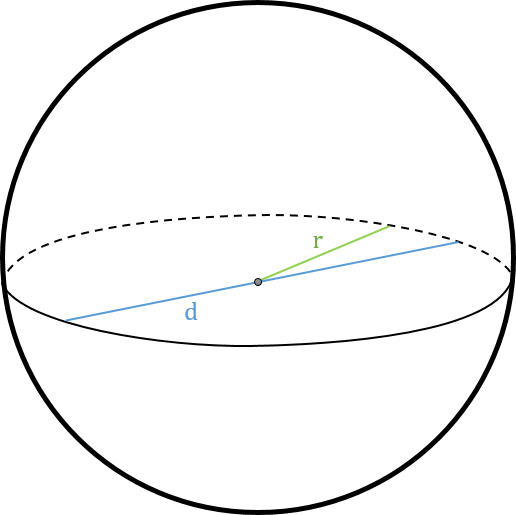 With given volume: A = ³√(36 * π * V²). With given volume: d = ³√(6 * V / π). You can estimate this quantity with our sphere calc too! Sphere Calc: find V, A, d can be embedded on your website to enrich the content you wrote and make it easier for your visitors to understand your message.